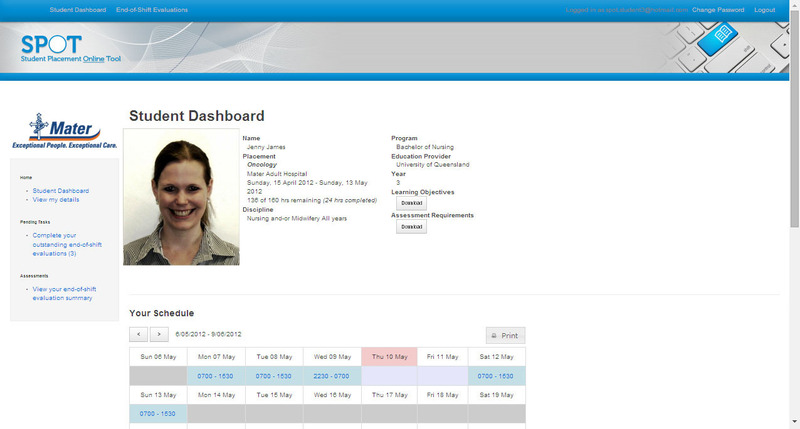 SPOT is a web based solution for managing and coordinating student clinical placements. "Which students are here today, and where are they?" If you have a specific SPOT enquiry for one of our clients, their contact information can be found in the top right hand corner of their login page. Keep up to date with all SPOT developments, conference attendances and media mentions by accessing our News section. SPOT is designed and hosted by Mater Health Services. Mater provides exceptional care to more than 500 000 patients each year.